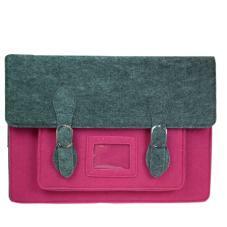 Large Green Felt Satchel suitable for carrying all of your day to day essentials. Scaled to accommodate a 15.5" Laptop there is also an internal iPad pocket and front pocket. 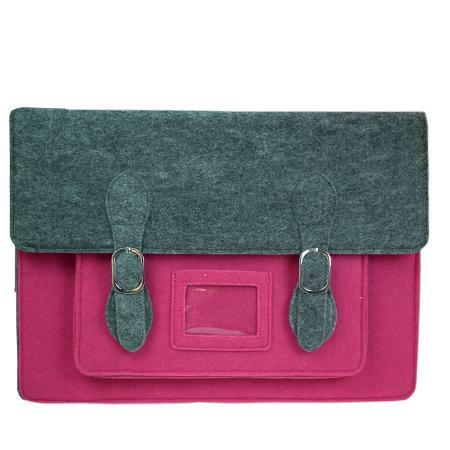 Our distinctive new “London Style” collection of coloured felt satchels and bags are stylish and highly versatile. Felt combines natural and synthetic fibres for strength, its fibrous character makes it ideal for providing ‘cushioned’ protection. This Satchel comes in a range of five striking colours each incorporating an element of grey felt and grey cotton webbing.